Iron Man game is based on the movie "Iron Man" with the main character asTony Stark. It is developed by Lego Games. 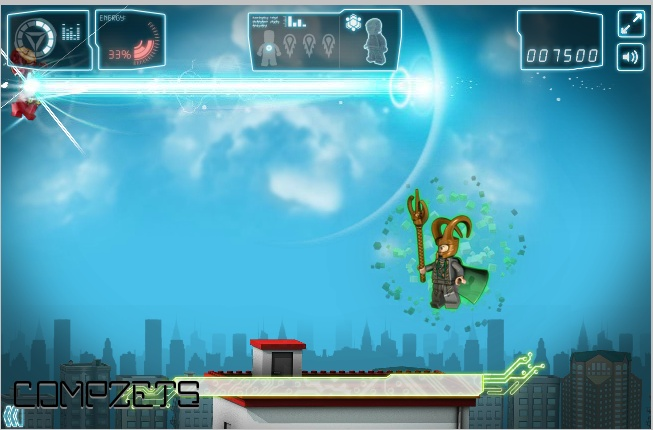 Play as Iron Man or the War machine and defeat the enemy warriors.Fire at the enemies, drop bombs on enemy artillery and land iron man safely. Fun but tough game.Get suited up as iron man because you will be going on an armor assault. 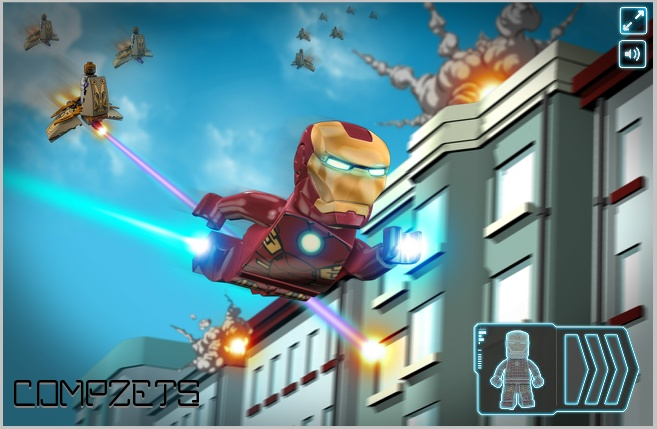 Show off your accuracy and skill with the iron man laser beam.Master the art of flying in the iron man suit. 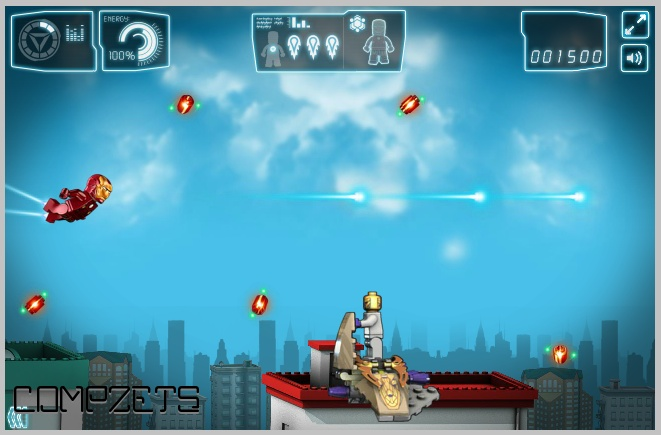 Dodge the enemies, collect goodies in the sky and annihilate your enemies. NOTE: Download the file and double-click on it, this game will then open in the browser and you can enjoy playing.